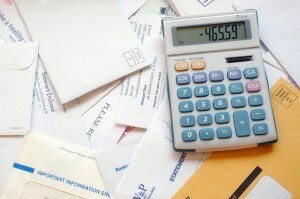 To strip a mortgage, there are necessary documents your bankruptcy attorney will need. You will need to acquire, prior to filing your Chapter 13 case, a payoff statement, mortgage statements, original notes and Deeds of Trust (you can get these from your county recorders office typically online), property tax statement, and title search or county property ownership records. If you have home owners association dues and assessments, this information will need to be provided as well. The value of your home must be the current value as of the date your Chapter 13 is filed, not when you bought your home. Values can be determined through online websites, county tax value, comparative market analysis, or an appraisal. An appraisal is best, but other values are sufficient. Once the above documents are submitted to your Chapter 13 bankruptcy attorney, he or she can then proceed with filing an adversary proceeding in your Chapter 13 case. You must be filing a Chapter 13 case to strip your second mortgage. The adversary proceeding is a lawsuit filed against your second mortgage company claiming that it does not have a security interest in the subject property because the first mortgage secures the complete value of the property. This lawsuit must be served upon the mortgage company and allow time to answer the complaint. If no answer is received, then a person gets an automatic judgment in their favor. However, this does not complete the stripping of the mortgage. A person must complete all payments of their Chapter 13 bankruptcy for the junior mortgage to be considered stripped. A person cannot file a lien strip on a home that has been foreclosed. If you have questions about getting rid of a second mortgage through bankruptcy, please contact us. Our experienced Seattle, WA bankruptcy attorneys would glad to let you know if bankruptcy is right for you.